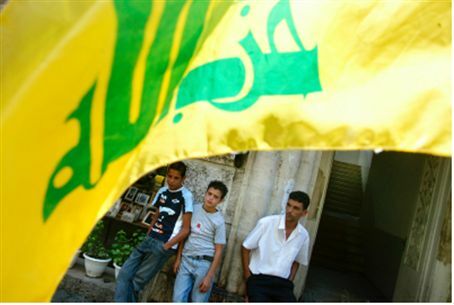 Senior Hizbullah man killed during shooting clashes between Hizbullah and Sunni group members. At least three people were killed on Tuesday in Lebanon, as supporters of Hizbullah clashed with members of the Sunni al-Ahbash faction in a Beirut neighborhood. Sources in Lebanon said the clashes began after a fight between a supporter of Hizbullah and a supporter from al-Ahbash faction in a mixed neighborhood of Beirut. In the resulting clashes, the two groups traded machine gun fire and grenades. The incident took place in Beirut’s downtown, which is packed with tourists at this time of year. Journalists were prevented from entering the area after it was cordoned off by Lebanese soldiers. Security officials in Lebanon reported that Hizbullah official Mohammed Fawaz was killed in the fighting along with his aide, Munzer Hadi. Also killed was Fawaz Omeirat of al-Ahbash. The statement said that both sides had agreed to immediately put an end to their differences and end all armed presence on the street. Meanwhile, Hizbullah leader Hassan Nasrallah called on Tuesday on the Lebanese government to ask Arab states and Iran to provide equipment to the Lebanese Army. In a speech he gave at a meal marking the end of the Ramadan fasting day, Nasrallah also urged the Lebanese government to consider establishing a nuclear reactor to meet the country’s future demand for electricity. Tensions have run high in Lebanon recently, after word came out that the UN would indict members of Hizbullah in the 2005 assassination of former Lebanese Prime Minister Rafik Hariri, who was known for his opposition of Syrian influence in Lebanon. Last week, Lebanon handed over to the UN material that allegedly proves Hizbullah’s claim that Israel was behind the Hariri assassination. The ‘evidence’ consists of two videos, one showing footage, allegedly from Israeli surveillance planes that flew near the site of the assassination, and the other depicting an alleged spy for Israel telling Hariri that Hizbullah was trying to kill him. Nasrallah claimed Israel was trying to cover up its own intentions to assassinate Hariri.